One of the last swordsman searching for the remaining survivors of that tragic day. I will find my long lost sword brothers and we will come together and show Elyria why our Faith in the Blade was un-rivaled. Currently I am residing in Baron Chufi's Stronghold in Manorka's County situated in the Kingdom of Nirath with our pledged king Dragor. I will be a Blacksmith to accompany my combat styled gameplay. To establish an elite group of specialised sword and blade wielders with elite blacksmiths. To train with each other by monster hunting, bounty hunting, treasure hunting etc. For our guild to possess the greatest swords in all of Elyria. 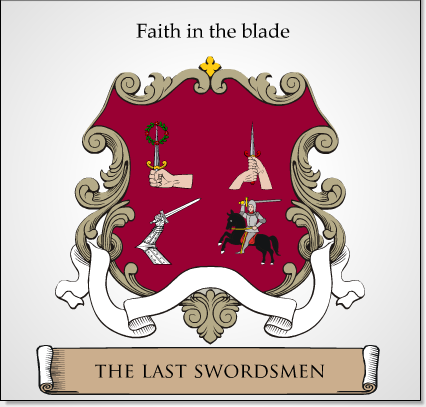 Who are the Last Swordsmen (The History)? Centuries ago there was a nation built upon the way of the sword and were feared and valued for their dominance with a blade. At times of war they achieved phenomanal results. They were sword and blade specialists from having the greatest Axe Wielders to the Best Dagger Wielders; the nations mastery with the sword was a level above the rest. They possessed people with the ability to create swords that only legends had spoken about. However there was deep seeded hatred for the military power that this nation had possessed. The nation had faced years of extreme famine from the harsh weather leaving them desperate to survive but had decided to not resort to violence and wait until the gods had granted them salvation. They thought that this was a punishment that their people must endure. The neighbouring kingdoms saw this as an opportunity to capitalise on their weakness. They had gathered the nations people in a field with promise of the blessings from the Gods granting them everlasting prosperity and ensured food supplies to be brought from across Elyria to the people of the nation. The people of the nation saw this as the moment divine intervention was taking course. They all left ther weapons at the alter as the kingdoms requested a sacrifice of their most valuable assets. They were left defenceless. What came after is what can only be described as treachery and deceit at its lowest. A whistle from the distance blew and with that arrived a bombardment of arrows and boulders all smothered with fire. Some run and some still stood believing that this was a sacrifice they had to make to free our nations people once more. The land soaked up the blood as the burning flesh infused with the grass. I was there that day. No taller that a Shrubland Wildcat I stayed hidden under my mother. She told me to stay until I could hear the whistle of the birds onces again. I felt every rock, arrow and weapon that was slicing through her. The fact that I split my arm open did not concern me anymore. I just knew I had to survive. If you believe that you are a surviving last swordsman then I will accept you like a brother/sister and we shall support eachother like for instance if you are need of swords and I have extra i'll just pass it along to you or you really want to go find treasure i'll tag along. You will be with like minded people situated in a safe military stonghold with many organisations as our allies. Furthermore, you aren't going to be 'just another person' here as i'd like everyone to develop and specialise in their own unique weapon choice. We will have: Dagger Masters, Axe Masters, Dual Wielders, Longsword Masters, Two Handed Sword Masters, Spear Masters and the list goes on. If you want to craft and test to make the best swords like I will also be doing you would be incredibly valued and would have constant demand for your creations. The stronghold has a forge ready for you to start crafting so would be provided with the necessary facilities. There is currently no specialist guilds for all types of sword and blade wielding which I believe would be one of the most powerful individual weapons in the game so if you want to be the best at something in this area you would greatly benefit from joining us! This would be amazing if you could get a 'Chimera or Karate' backer to join you who had their own sword style to teach. Haha yes it would be amazing and thanks for the support! Guild history has been updated and extended. 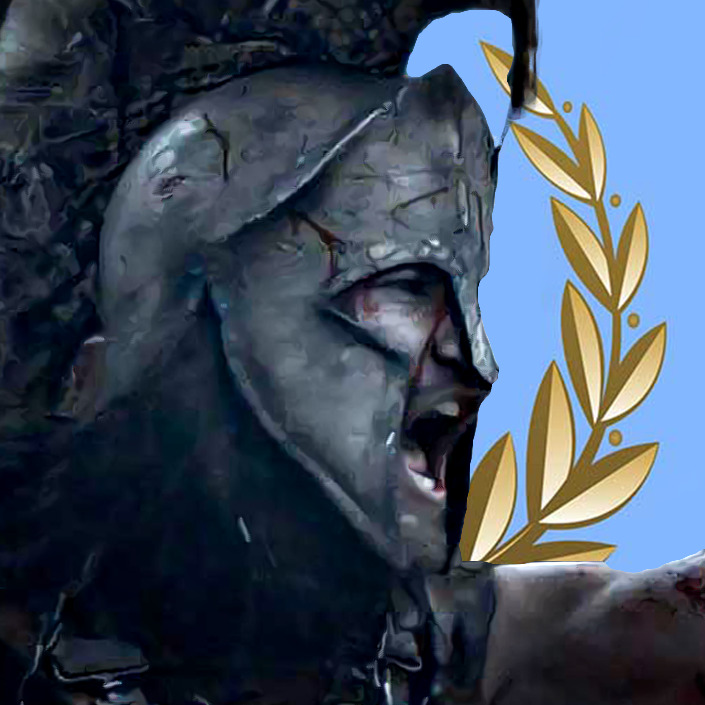 As the Myrmidons will also be looking to become Masters of the Sword, we should held competitions against each other. I gladly invite you to pass by our City Myrmidonia, if our two Kingdoms would be at Peace. May our Way of the Sword enlighten us. I'd certainly welcome the chance to learn and teach in the art of martial combat. While I be a part of a different guild, I would certainly be open to the opportunity to expand the martial knowledge for fellow weapon enthusiasts and crafting knowledge to expand our capabilities as a whole.